Welcome and thank you for visiting our office online! 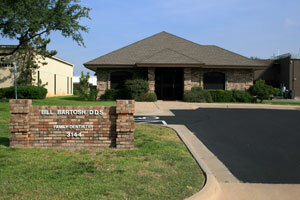 While you are here, please take a few moments to meet Dr. Bartosh and his staff and read about the services we offer. We have been in practice for over three decades and provide comprehensive, quality, and PAINLESS dental care for patients of all ages. We encourage you to be involved in the decision making process of your dental care. With that in mind, asking questions is very important in being an informed patient. All office staff are capable of answering your questions, with OUR goal of helping you to achieve the highest level of dental healthcare possible. They have been chosen because of their skill level, their commitment to patient care and genuine concern for your well-being while in our office. This is the reputation we have built our practice around and why our existing patients make referrals with confidence. We look forward to long lasting relationships with our patients! So, please meet your dental team in the following pages and then CALLto reserve your personal consultation, check up or cleaning. We offer dental solutions that will exceed your expectations and preserve the life and beauty of smile with care that is as gentle as a butterfly!